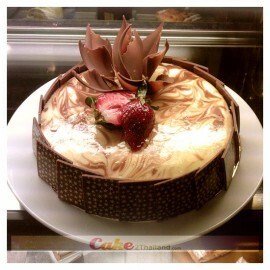 Cheesecake delivered to your home by Cake 2 Thailand Bakery. Cheesecake delivered to your home? Yes please! 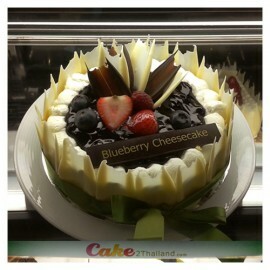 Cake2Thailand.com has a delivery service. Nothing like a good cheese-cake: a crispy crust topped with a creamy cream is paradise! A cheesecake so creamy, so soft and so light. A dessert, treat where you can swallow your fingers! The classic cheesecake dessert has a long history, and it is believed that one of the first was made for the first Olympic Games in Greece for thousands of years. Historians believe that a man named Athenaeus, in the year 230, was the first person to write the recipe for posterity. The Romans later, the recipe was adapted and made their own, calling it libuma. Cato was the first Roman to write a cheese cake recipe. The sweetened cake grew to extend to other areas such as the Roman Empire, to parts of Europe and the British Isles.